TORONTO (AP) — An executive of Chinese tech giant Huawei is suing the Canadian government, its border agency and the national police force, saying they detained, searched and interrogated her before telling her she was under arrest. 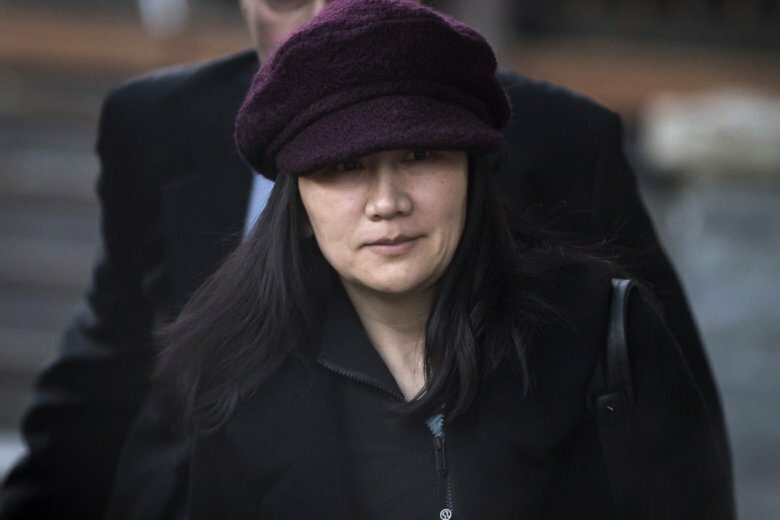 Lawyers for Meng Wanzhou said Sunday they filed a notice of civil claim in the British Columbia Supreme Court. Canada arrested Meng, the daughter of Huawei’s founder, at the request of the U.S. on Dec. 1 at Vancouver’s airport. She is wanted on fraud charges that she misled banks about the company’s business dealings in Iran. The suit alleges that instead of immediately arresting her, authorities interrogated Meng “under the guise of a routine customs” examination and used the opportunity to “compel her to provide evidence and information.” The suit alleges Canada Border Service Agency agents seized her electronic devices, obtained passwords and unlawfully viewed the contents and intentionally failed to adviser her of the true reasons for her detention. The suit said only after three hours was she told she was under arrest and had right to counsel. Meng’s arrest set off a diplomatic furor and severely strained Canadian relations with China. Beijing has accused Washington of a politically motivated attempt to hurt the company. A Chinese court also sentenced a Canadian to death in a sudden retrial, overturning a 15-year prison term handed down earlier. Kovrig and Spavor haven’t had access to a lawyer or to their families since being arrested. Nicolas Dorion, a spokesman for the Canada Border Services Agency, said it’s not a practice of the agency to comment on legal matters that are before the courts. A justice department spokesman referred comment to the border agency, and a spokesman for the Royal Canadian Mounted Police said they were unlikely to comment Sunday. Gary Botting, a Vancouver extradition lawyer who is not representing Meng, said Canada’s Border Services Agency tends to overstep. Botting said they had no reason to detain her as she had travelled to Canada many times before. “They are trying to get all this information ahead of time and they know ultimately an arrest was in the works,” he said. Julian Ku, senior associate dean for academic affairs at Hofstra Law, noted the civil action is separate and apart from Meng’s extradition proceeding. He said the lawsuit will allow her to argue she is being unfairly treated and support her broader public relations claim that the detention is part of a U.S and Canadian political conspiracy against Huawei. Lynette Ong, an associate professor of political science at the University of Toronto who focuses on China, quipped that the detained Canadians should take Beijing to court for violation of basic human rights, taking a leaf from the Meng lawsuit.